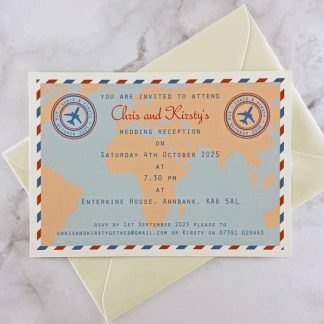 The Travel Ticket wedding stationery range is perfect for a couple that love travelling or are getting married abroad. 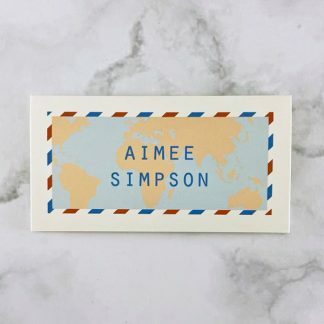 The design features a map background with an airmail style border around the edge. 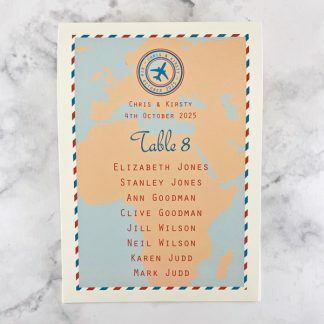 There is a logo with a plane in the middle, as well as names and the wedding/event date. 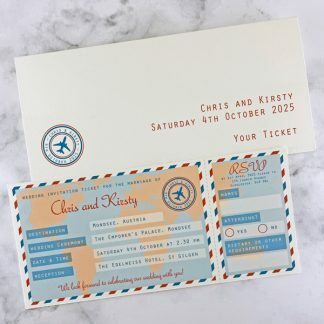 Wedding invitations are in a ticket format and supplied with a card wallet – so a similar style to an airline ticket. 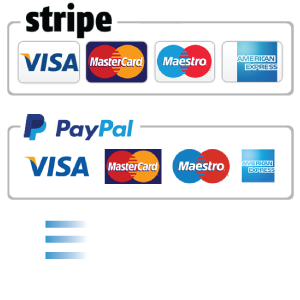 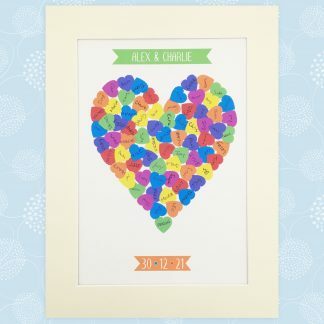 They are printed on smooth white or ivory card. 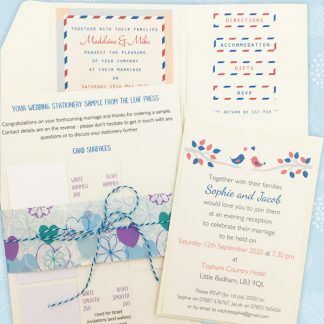 For other stationery items there is a choice of smooth or textured card in white or ivory. 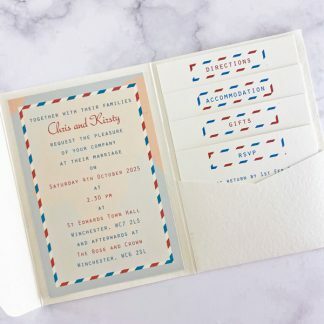 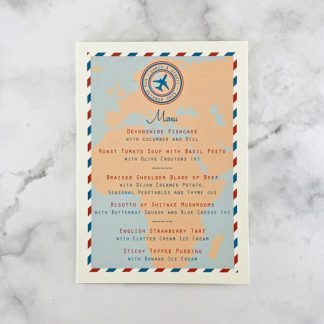 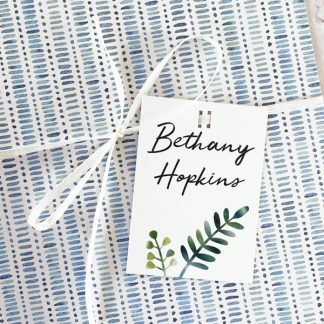 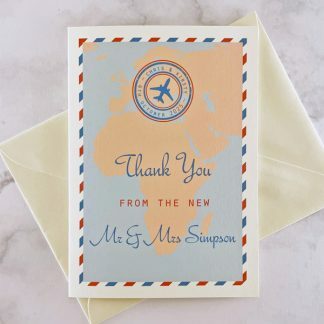 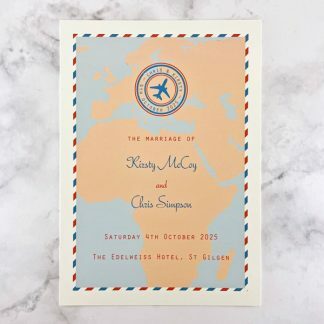 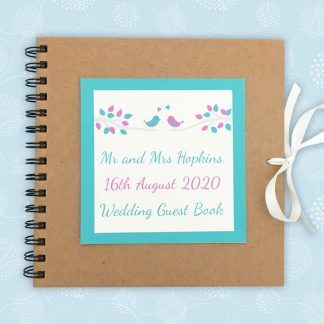 Each travel themed wedding stationery item has a colour scheme based on two colours. 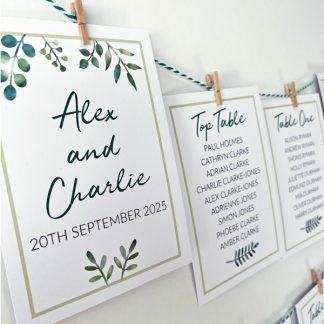 These can be selected from the wedding colour chart.